Dum Aloo is a famous kashmiri cuisine. Traditionally the small baby potatoes are deep fried and cooked on low flame. Its a lengthy procedure and very time consuming. 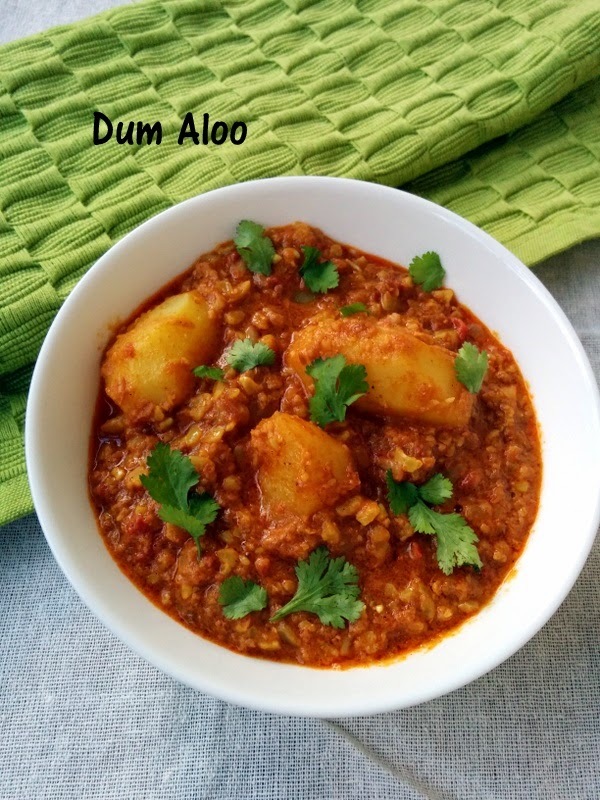 I know you all might be thinking then how Dum Aloo can be made in cooker. 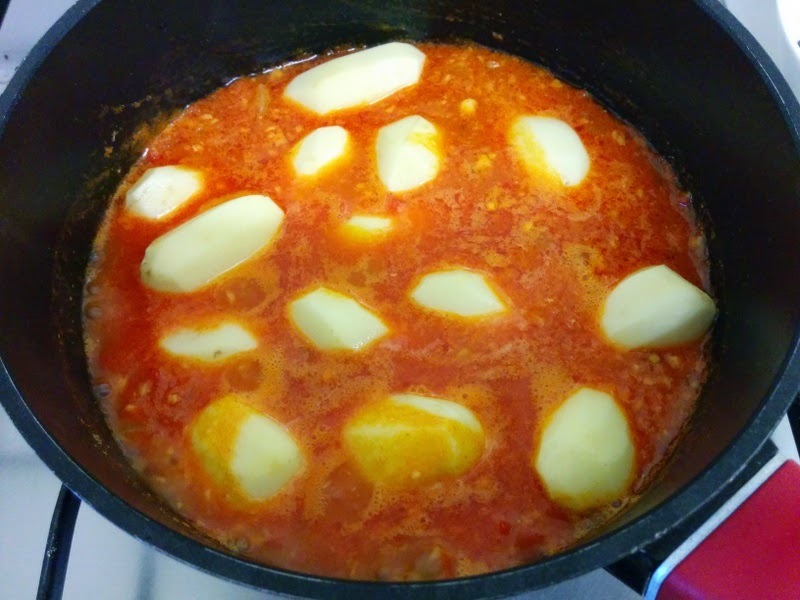 This is quick shortcut to the authentic dum aloo that I learned from my MIL. We also use some peanut powder in this recipe that gives it a unique flavour. It is a very quick recipe and requires very basic ingredients which are available easily at home. 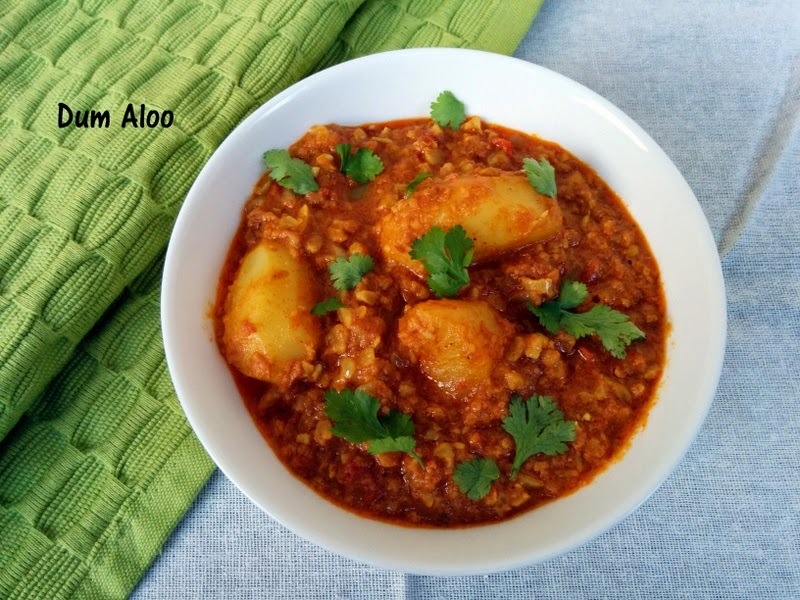 It does not require frying the baby potatoes and is a healthy alternative to the traditional Dum Aloo. The baby potatoes cooked in peanut gravy taste great with tava Parathas or plain rice or even pita bread. So lets proceed step by step. Before we start making dum aloo in cooker we should start with the preparations. We require small baby potatoes to make dum aloo. Peel the potatoes and prick them with fork and keep aside. In a grinder coarsely grind peanuts to a fine powder. 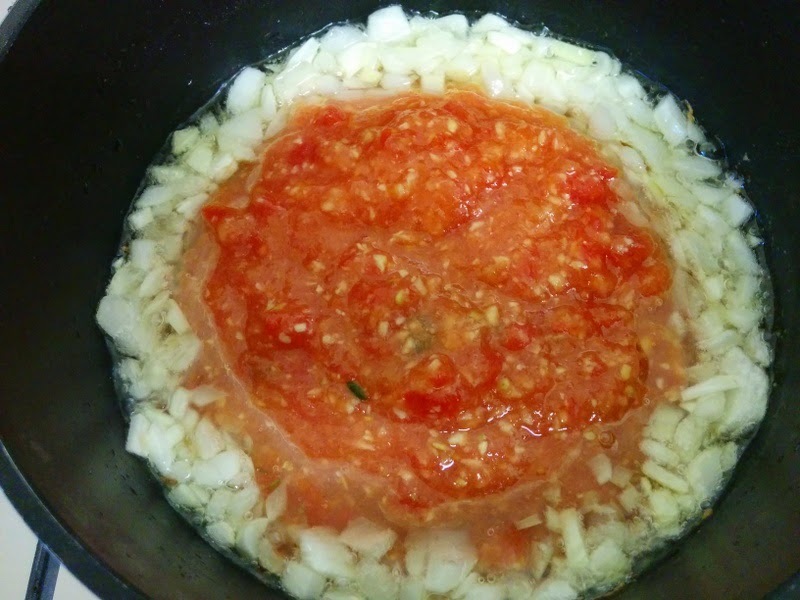 Make puree of tomatoes, garlic, green chillies, and ginger. Finely chop the onions. Now lets start making Dum Aloo in Cooker. 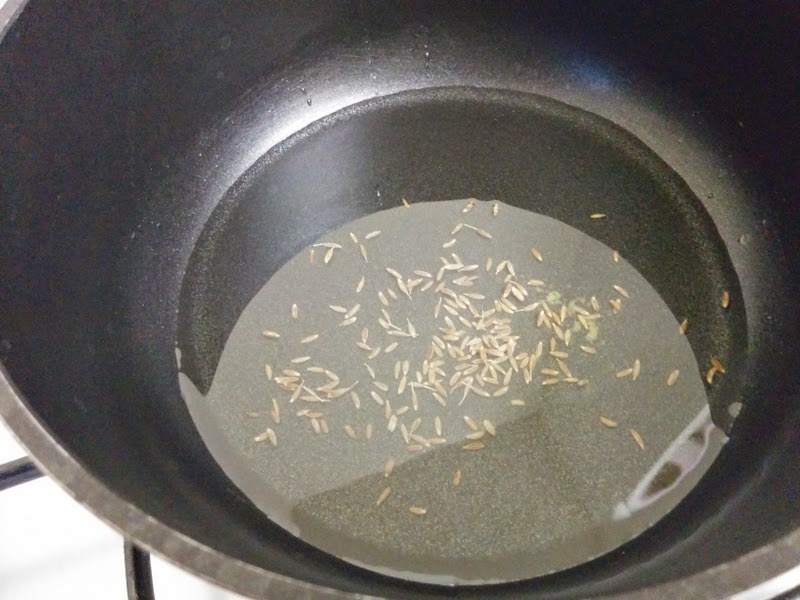 Heat oil in a pressure cooker (preferably non stick). After the oil is hot add cumin seeds and asafoetida. After the seeds crackle add onions and sprinkle some salt. 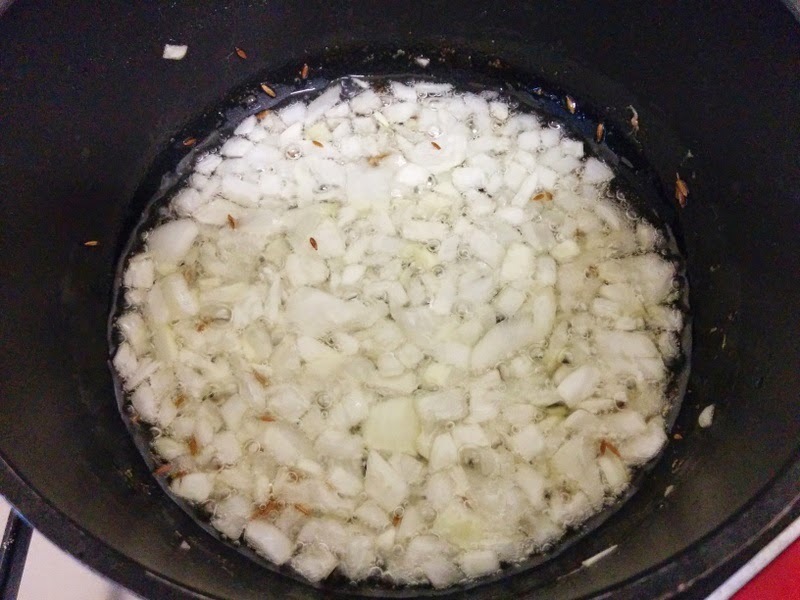 Cook the onions till they are translucent. Add all the spices including turmeric powder, red chilli powder, coriander powder and salt. Mix all the ingredients well. Cook the puree for about 5 minutes till you can see oil on the sides. Now cover the lid and pressure cook for 4-5 whistles. Dum Aloo in Cooker is ready. Serve hot with Jeera Paratha, onion salad and buttermilk. Small baby potatoes pressure cooked in tangy and crunchy tomato gravy. Peel the potatoes and prick them with fork and keep aside. In a grinder coarsely grind peanuts to a fine powder. 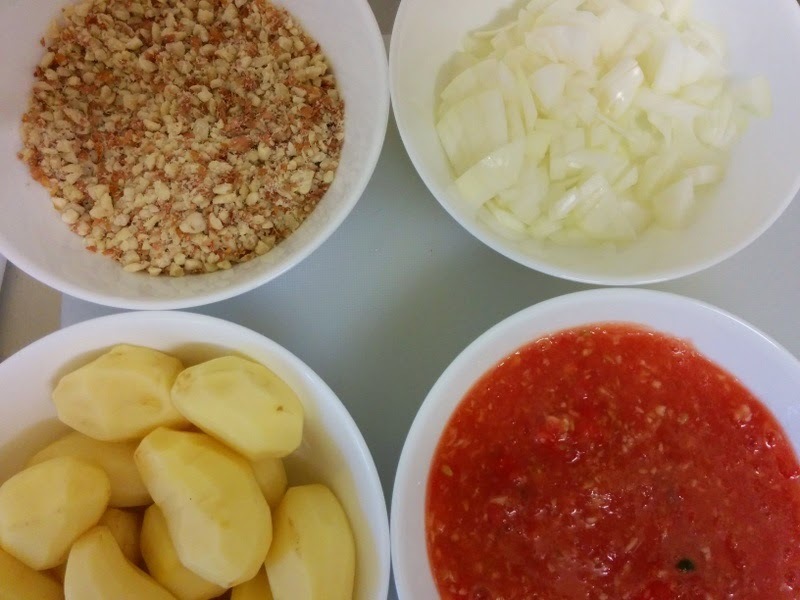 Make puree of tomatoes, garlic, green chillies and ginger. 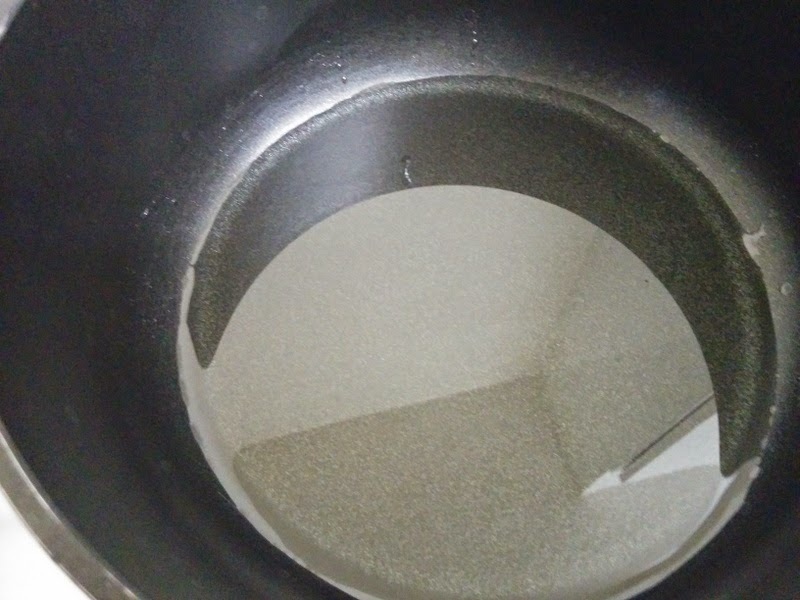 Heat oil in pressure cooker. Now add the tomatoes, ginger-garlic and chilli paste. Add all the spices including turmeric powder, red chilli powder, coriander powder and salt. Mix all the ingredients well. Cook the puree for about 5 minutes till you can see oil on the sides. 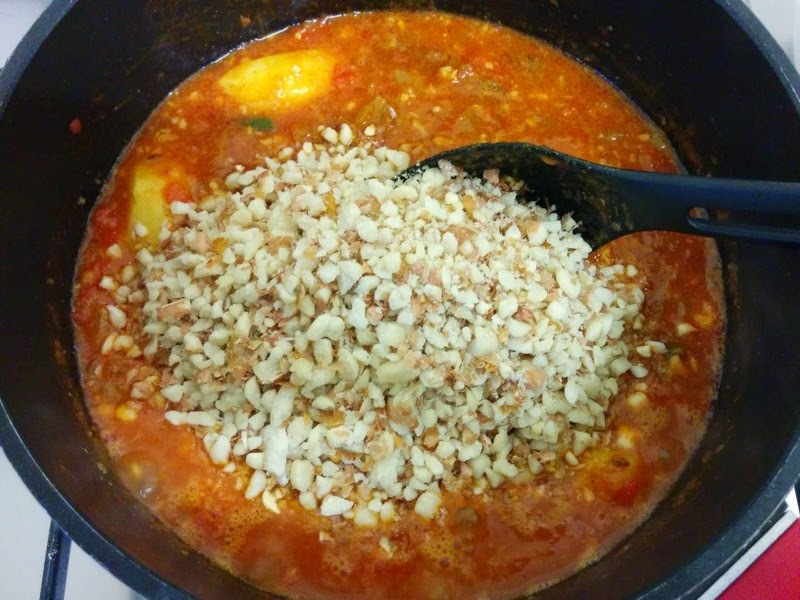 Cook the potatoes in the gravy for 2-3 minutes and add the grounded peanut powder. 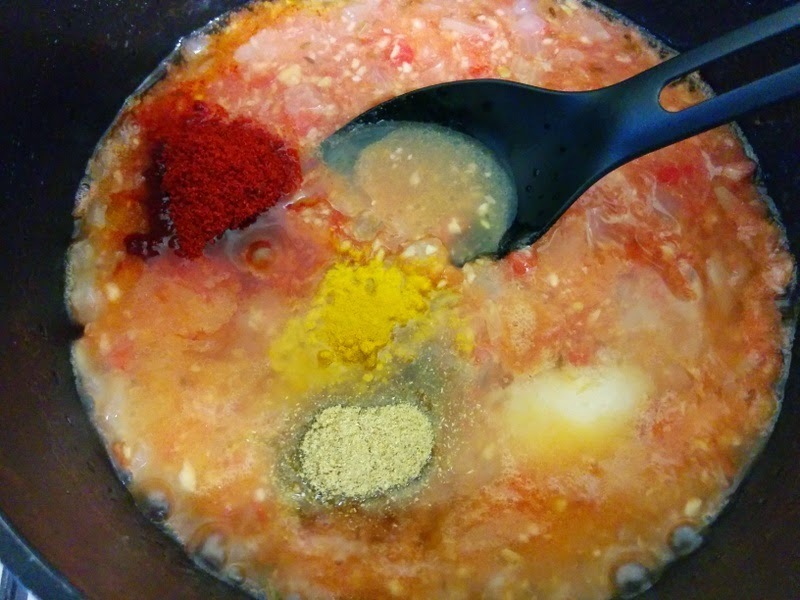 Also add half tablespoons of garam masala and mix well. Hi Mehak, thanks for your comments. There is an index on the left hand side that categorizes recipes in deserts, main course etc.